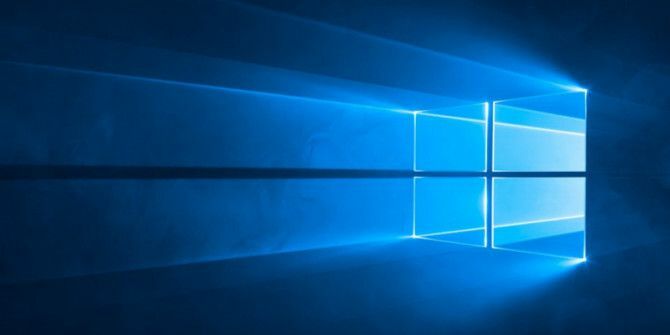 How to Open File Explorer on "This PC" Instead of "Quick Access"
Windows 10 brought a lot of changes to the operating system, including new taskbar customizations 7 Tips for Customizing the Windows 10 Taskbar 7 Tips for Customizing the Windows 10 Taskbar The taskbar remains a staple feature in Windows 10. It's been given a fresh look and new features, including Cortana. We show you all the tweaks to make the taskbar your own. Read More , a brand new Start Menu design A Guide to the Windows 10 Start Menu A Guide to the Windows 10 Start Menu Windows 10 fixes the Start Menu dilemma! Getting to grips with the new Start Menu will supercharge your Windows 10 experience. With this handy guide, you'll be an expert in no time. Read More , and an updated File Explorer How to Get the Most Out of the Windows 10 File Explorer How to Get the Most Out of the Windows 10 File Explorer Windows File Explorer is one of the most underrated features of Windows 10. Here we demonstrate how to manage and control the Windows 10 File Explorer from the bottom up and reveal features you never... Read More . That last one might be causing you a bit of trouble. Microsoft added a new feature called Quick Access in Windows 10, which is actually pretty good considering all of the benefits it brings Navigate Your Favorite Files Faster in Windows 10 with Quick Access Navigate Your Favorite Files Faster in Windows 10 with Quick Access File Explorer in Windows 10 introduces a subtle change: The Favorites bar is now Quick Access, which relies on data to show your most used folders first. And you can still pin or hide folders. Read More . However, a lot of users don’t like that File Explorer opens on the Quick Access page. Open File Explorer (use the Windows key + E shortcut 13 Nifty "Windows Key" Tricks You Should Know By Now 13 Nifty "Windows Key" Tricks You Should Know By Now The Windows Key can be used to do a lot of neat things. Here are the most useful shortcuts that you should already be using. Read More ). Explore more about: File Explorer, Windows 10. But I need a simple free GIF editor so I can crop, resize, draw something or add text/logo on a animated GIF. The next step is to allow users to select their own default folder. Yes, that would be fantastic!